﻿﻿ Magnetic Field Distribution of Coil Antenna and Capacitorexplanation｜products｜Murata Software Co., Ltd. The magnetic field distribution is solved for a coil antenna and a resonance capacitor in the LF band. Magnetic field transient analysis coupled with an external circuit is used. 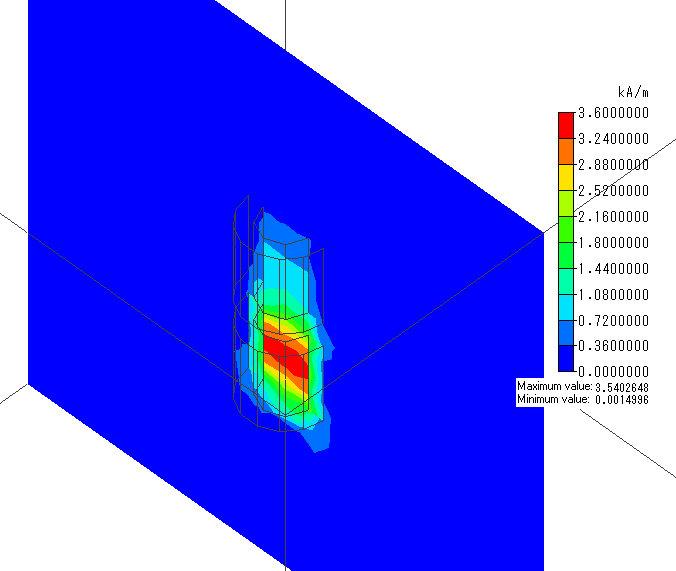 See other Magnetic Field Analysis applications.